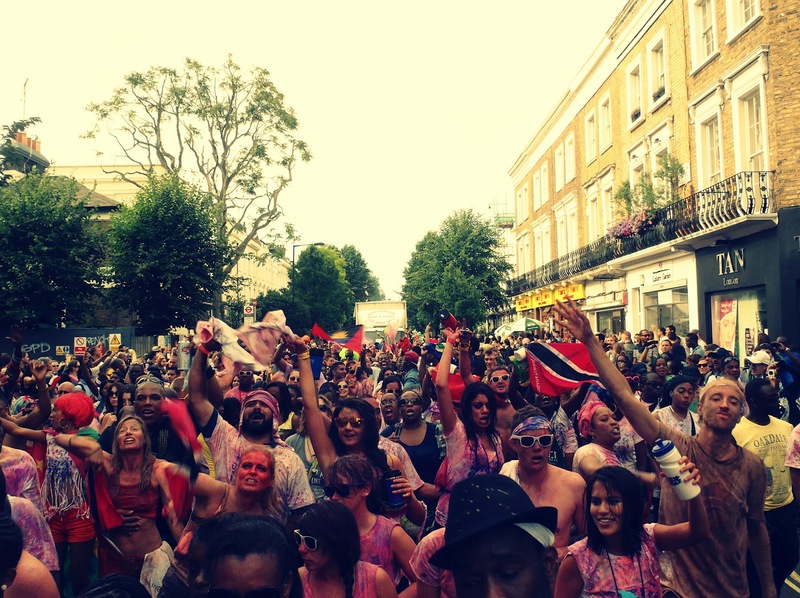 It's always baffling to hear that so many Londoners have never actually participated in Notting Hill or that there are Bajans who don't see the appeal of Kadooment/Carnival. These people have the chance to experience one of the greatest weekends of the year, when everyone gets together, drinks & goes completely mental on the streets. In this post I'm referring to a conversation had about Notting Hill Carnival but this can apply to any Caribbean Carnival around the world. It's a once in a lifetime experience (that's a lie, once you've tried it once you want to do it all over again!) and I highly recommend that everyone give it a try. 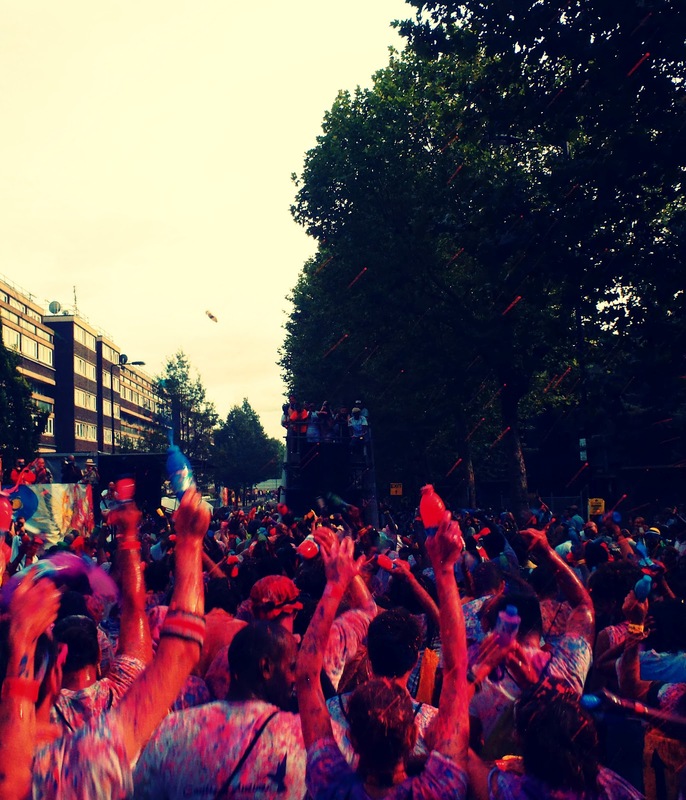 The lead up to the partying is just as fun, with j'ouvert/mudd mass, music and revelry, food, family & friends flying in from all over the place to be a part of the action. Most girls fret & diet beforehand, worrying that their costume won't fit them anymore by the time carnival comes. On jump up morning everyone spritzes, glitzes, pokes & getting covered in glitter and your bedroom is suddenly like a chicken koop on steroids. Eyelashes are glued, safety pins are fastened & there are last minute panick attacks on which eye shadow looks best. As you step out, everything in place, you hear the jingling of your beads and you forget about your love handles or that annoying bulge that refuses to budge. Because nobody cares anymore, everyone is too excited, smiling and chatting away, sipping on rumpunch before breakfast. You arrive at the start with a little knot of anticipation in your tummy, laughing at the reactions you got as you tickled someone with your feathers on the tube. You hear Bajans, Jamaicans, Trinis, Vincis, New Yorkans & cockney slang all jumbled together as blacks, whites, browns and all those inbetween meet & greet, ready to celebrate together again. As you walk past rather large ladies in sequined thongs doing their thing without a care in the world, you promise yourself that you won't get so worked up about your diet next year. And then it finally starts; the music blaring, everyone moving, shouting, singing and dancing together. The rest of the day is a blur of sequins, feathers, bright colours, smiles and some of the best ''feel good'' music on this earth. 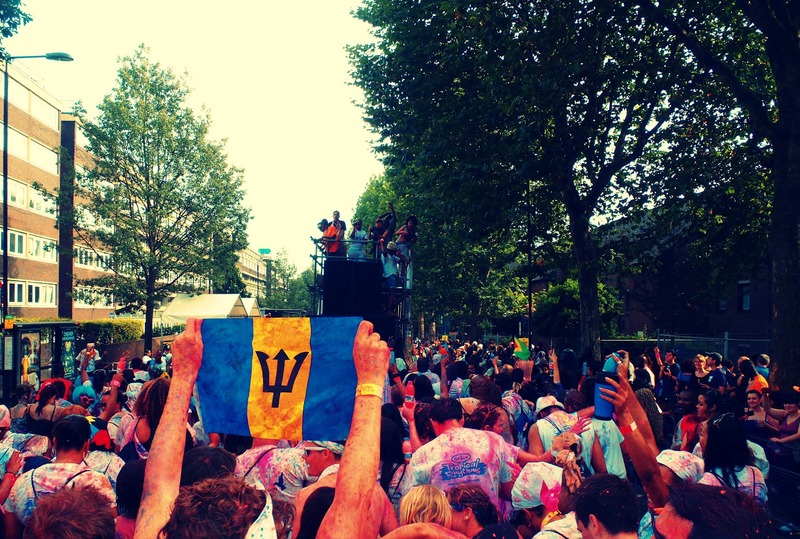 I love being a West Indian and these days are a celebration of everything the Caribbean and it's diaspora represents.